Oscar learned how to wave! Wave is one of my favorite tricks for mini pig training. 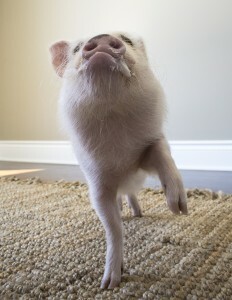 Here is a video and instructions on how to teach your mini pig to wave.